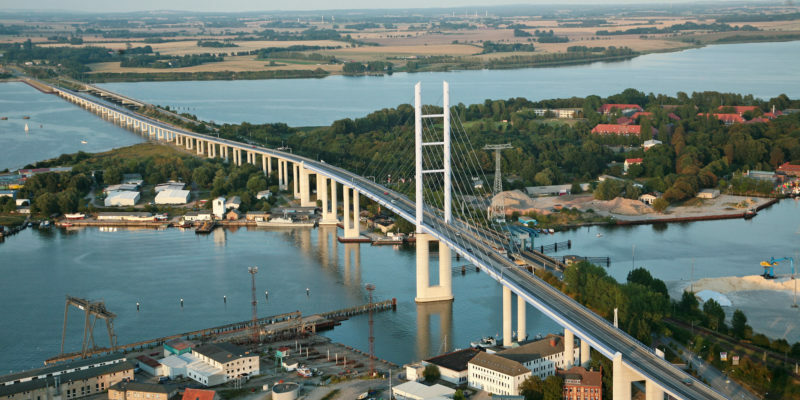 The Hanseatic City of Stralsund has so many historic sights and touristic attractions to offer that the visitor is spoilt for choice. 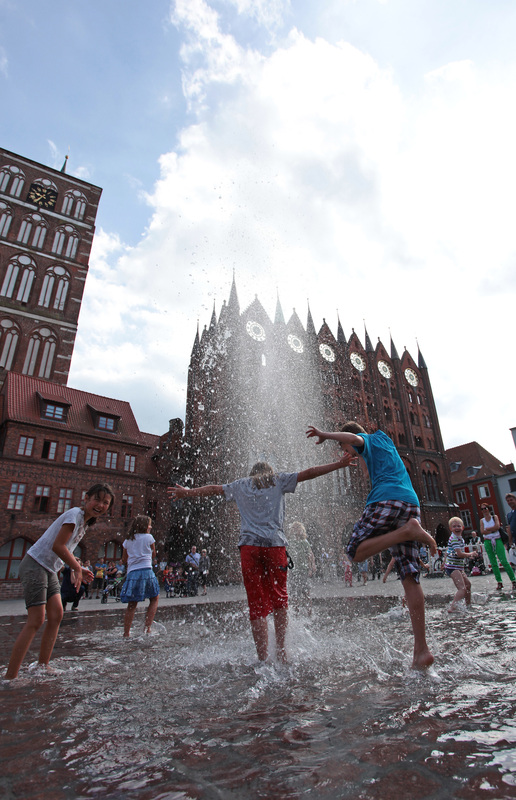 The medieval town, with its great variety of religious and secular buildings in the northern German brick Gothic style, transports you back to Hanseatic times. These protected monuments were added to the UNESCO World Heritage List in June 2002. The historic old town is surrounded by water, giving it an island feel, and offers the sailing enthusiast the rare pleasure of mooring his boat almost directly in front of the town hall. 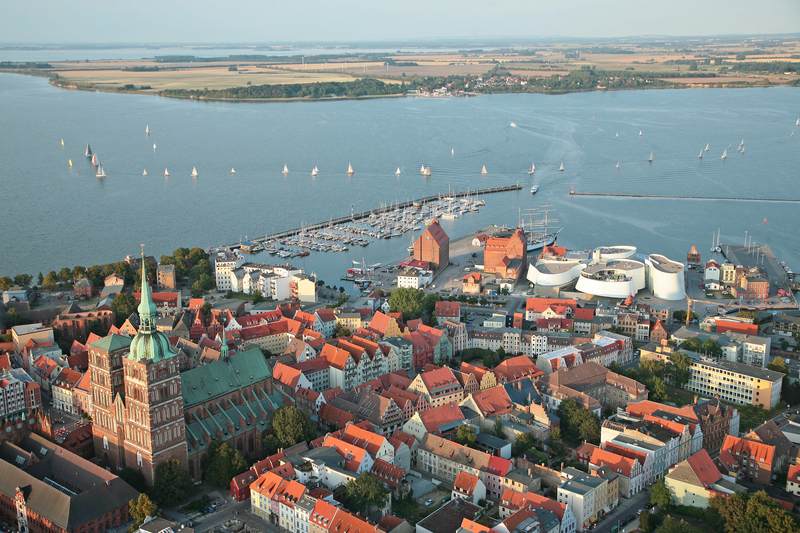 The port, ferries, sailors and cutters together with a striking skyline dominated by it`s churches lend the Hanseatic city of Stralsund its particular maritime flair. 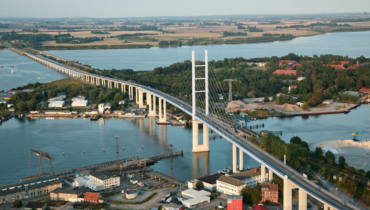 Shipbuilding has been important for the economy of Stralsund for centuries. Today, the Volkswerft shipyard produces container ships in a modern compact shipbuilding centre. And investment is being made in new technologies for the future, through the University of applied sciences and the technology centre. Tourism is also a key element of the economy. 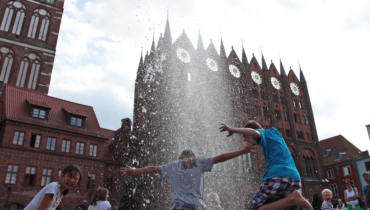 The German Oceanographic Museum in the heart of the old town is the jewel in the crown of a spectrum of museums that attracts thousands of visitors to Stralsund every year. 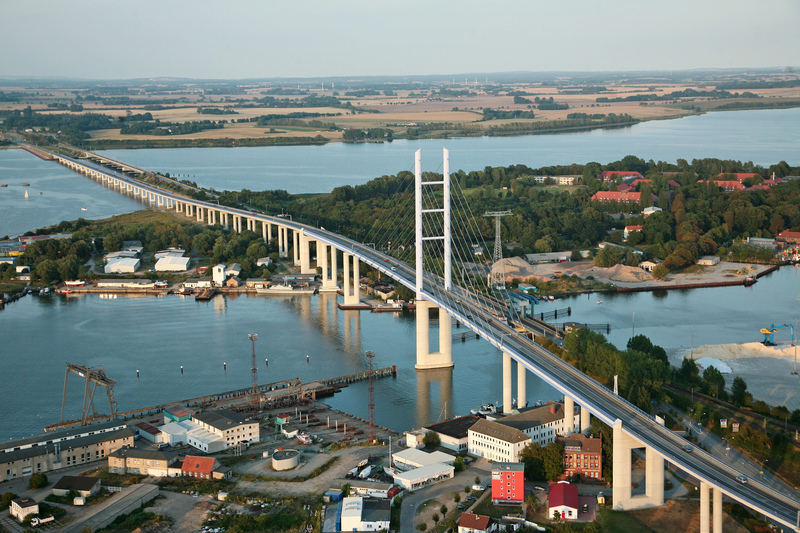 This Hanseatic City of Stralsund is also viewed as the gateway to Scandinavia with its so-called royal ferry line to Trelleborg, steeped in tradition. 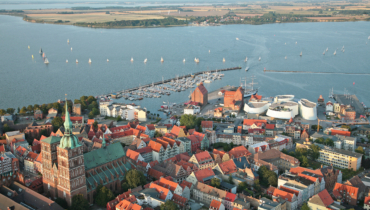 In Stralsund, great care is being taken to preserve the spirit of the city's Hanseatic past - and this spirit is still very much alive for all to see.